Brazil's economy is spiraling out of control as a political crisis is pushing the country's president towards impeachment. Between December and February, Brazil's unemployment rate shot up to 10.2%, according to government data published Wednesday. That's the same level the U.S. jobless rate had hit around the Great Recession in 2009. A year ago, Brazil's unemployment rate was at 7.4%, wages have fallen nearly 4% and inflation remains high. 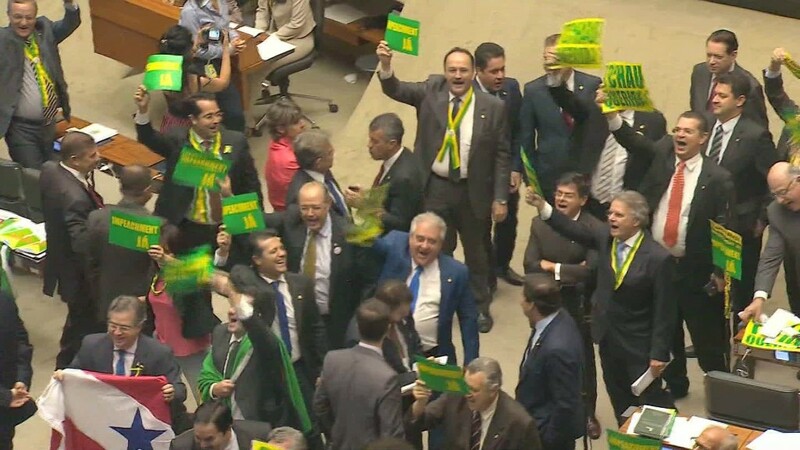 The bad job news comes just days after Brazil's Lower House of Congress voted to impeach President Dilma Rousseff for allegedly hiding a budgetary deficit to win re-election in 2014. Rousseff could have her presidency suspended as soon as May when the Senate votes on impeachment. Currently, 10 million Brazilians are unemployed. That's 3 million more than a year ago, official figures show. The country's economy continues to dive deeper into recession. The economic downturn -- along with the massive corruption scandal -- are sparking mass protests in cities across Brazil, with just about a 100 days left before the Summer Olympics arrive in Rio. Brazil's economy shrank 3.8% last year and its central bank forecasts it will decline another 3.5% this year. Brazil -- the largest country in Latin America -- has been crippled by a massive corruption scandal at the state-run oil company, Petrobras. Politicians, contractors and company execs ran a bribery scam worth billions of dollars for several years. Since 2014, Brazilian prosecutors have been arresting dozens of people tied to the bribes. In March, they charged Rousseff's predecessor, former president Luiz Inacio Lula da Silva, of money laundering. Even some of Rousseff's critics in Congress who are trying to impeach her are facing corruption charges from prosecutors. Amid all that alleged corruption, unemployment is rising, consumer spending has plummeted and Brazil's debt has been downgraded to junk.